Today, I thought I'd show you how to hand-stitch a buttonhole in case you need to make buttonholes and don't have a sewing machine, or yours decides to be difficult like mine. This is a photo heavy post, as it is (mostly) a photo tutorial. At the end, I do include a video I made of how to make a blanket stitch for the purposes of the buttonhole. Enjoy. 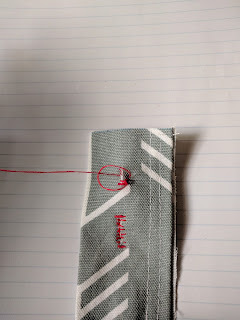 First, you need to mark your buttonhole placement. Personally, on this particular project, I had no problem just drawing it on my fabric. On a more delicate fabric, I might not have done that. Use straight pins to keep the edges of the buttonhole stable until you have stay-stitches in place. Cut your hole. 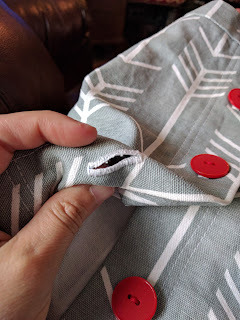 I start the cut by folding the fabric in half and cutting a small hole. Then, I slide my scissors* tip into the starter hole and cut the rest of the hole. 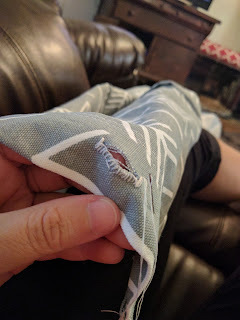 Stay stitch the one end. 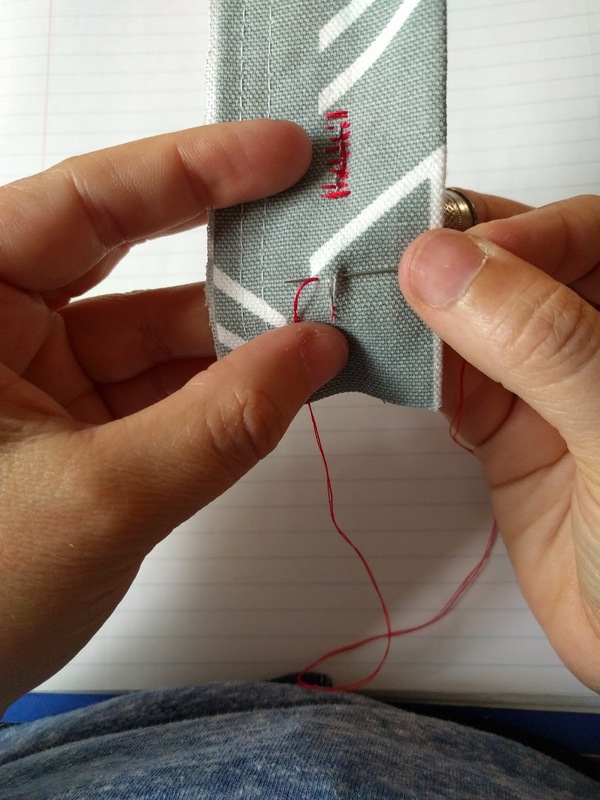 Insert your needle into the edge of the stitch line, while holding your thread up and out of the way. Pull your needle out through the hole. 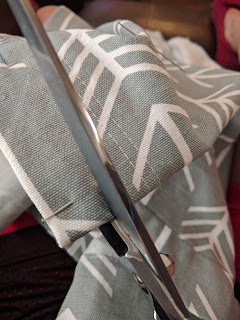 Make certain that the needle comes out over the working thread. Pull it snug. You want that loop to sit snugly, but not tightly against the edge of the hole. 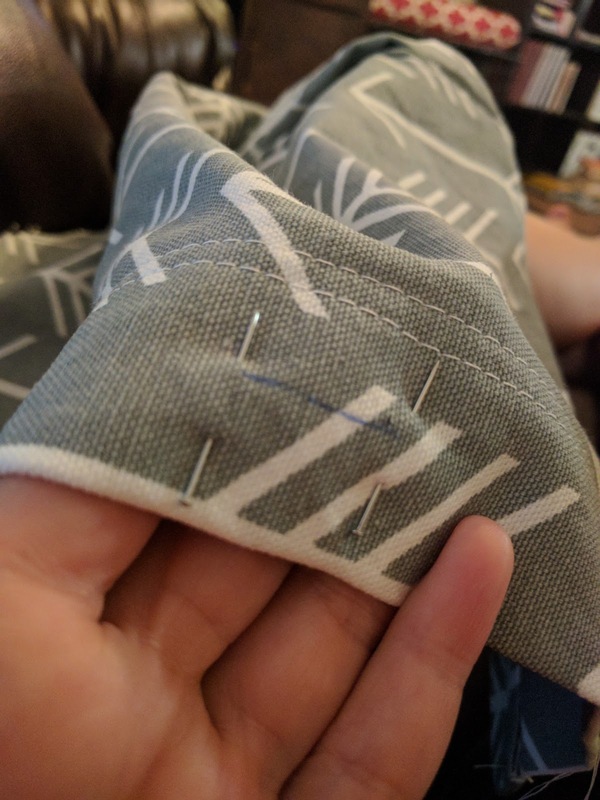 Once you get to the end of one side, make a couple stay stitches at the other end. 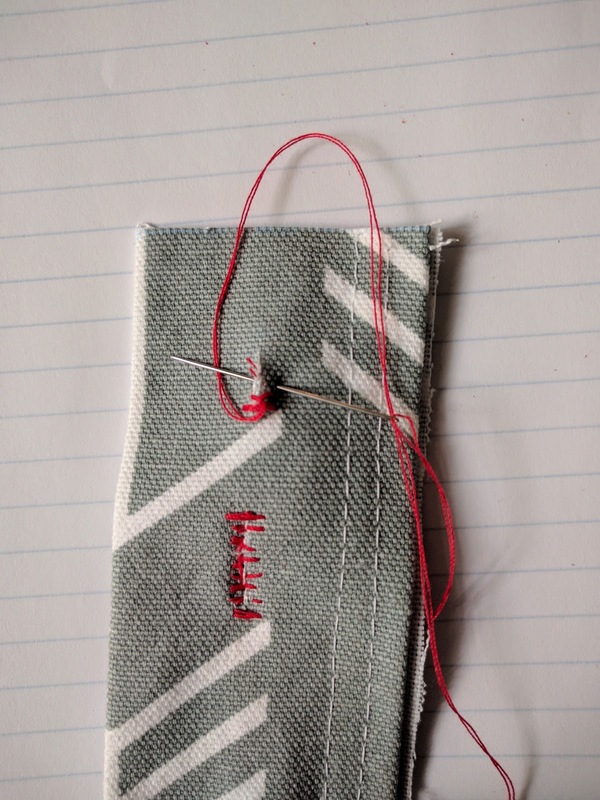 This is what your buttonhole will look like after one round of stitches down one side. Turn your work and continue down the other side. Make certain that when you pull the needle point up through the hole on this edge that you don't catch the other side's stitches. 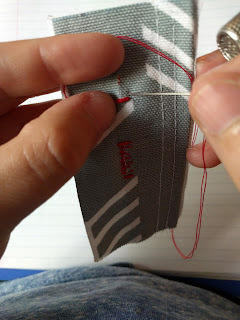 Repeat all of this a second time to make a nice tight buttonhole. This is what your buttonhole should look like when you're finished. 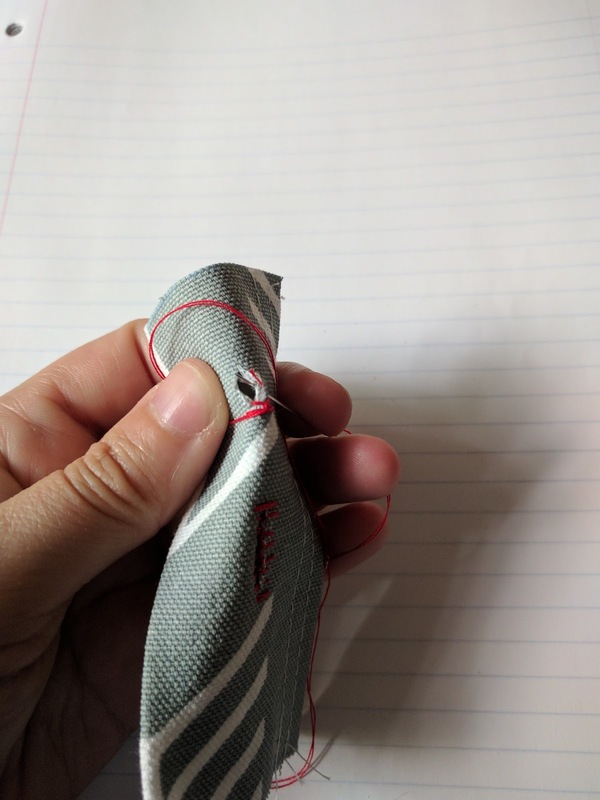 You'll notice that the loops make the edges of the buttonhole. 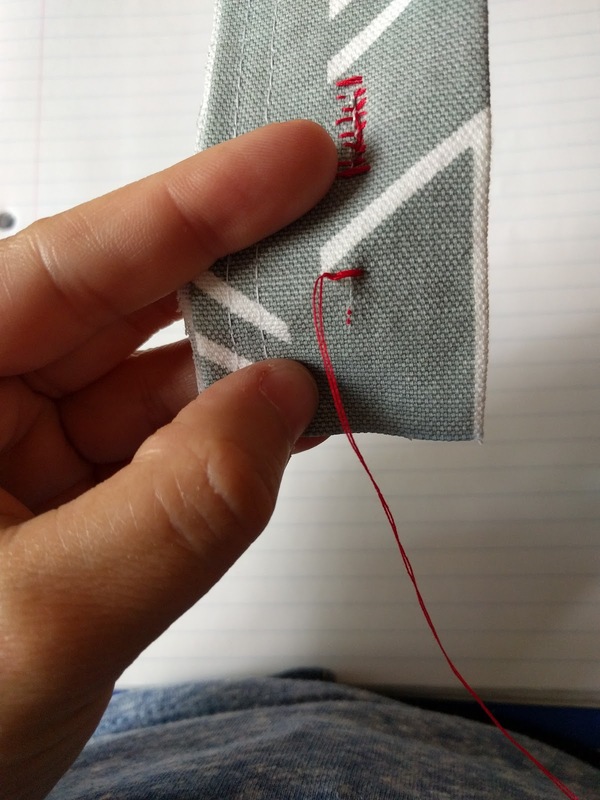 A video of me doing blanket stitch for a buttonhole. *Do you say scissor or scissors? I'm just curious.